Pasco Board Certified Consumer Bankruptcy Attorney - Michael Barnett, P.A. 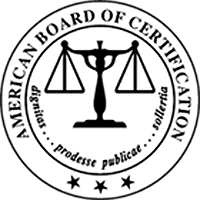 Mr. Barnett is board certified by the American Board of Certification in consumer bankruptcy law, and has been board certified since January 1993. Don't be discouraged by myths about filing for bankruptcy. We've helped hundreds of Florida families get out of debt. Let us help you too. BANKRUPTCY Can help eliminate credit card debt! Not only does bankruptcy eliminate credit card debt, a court ordered injunction known as the automatic stay stops all collection activity while your case is pending. Located conveniently in Dade City, or Tampa, Mr. Barnett has been has been board certified for consumer bankruptcy in Florida for over 20 years! We understand the difficult position of being faced with bankruptcy and strive make the entire process a comfortable experience for all parties involved. Get Help with Student Loans! Learn what non-bankruptcy options for eliminating student loans may be available to you. Filing for bankruptcy can immediately stop or delay a pending foreclosure sale, giving more time to negotiate with the lender. Our firm is dedicated to helping individuals and small businesses through financial problems with individualized attention to the clients. We can file bankruptcies to stop foreclosures, deal with tax debts, and stop most lawsuits. We make every effort to treat the clients as we would want to be treated by similar professionals. Michael Barnett is a lawyer representing consumers and small businesses in Chapter 7, Chapter 12, and Chapter 13 bankruptcy cases in west central Florida, serving Pasco County and Dade City and Tampa for over 20 years. Mr. Barnett is board certified by the American Board of Certification in consumer bankruptcy law, and has been board certified since January 1993. While the main office is in Tampa, appointments are also available in Dade City. There is no charge for initial consultations regarding the filing of a bankruptcy case for the client. We are a debt relief agency agency. We help people file for bankruptcy relief under the Bankruptcy Code. Nothing on this website should be considered an offer to represent the viewer in any matter. Only Mr. Barnett can determine whether he will take any given case, after reviewing the situation in an appointment with the person. The hiring of a lawyer is an important decision that should not be based solely upon advertisements. Before you decide, review the section disclosing Mr. Barnett's qualifications and experience. We can file bankruptcies to stop foreclosures, deal with tax debts, and stop most lawsuits. This is the most common type of bankruptcy, and is often suitable if the main problem is credit card or medical debts. This is usually the case to file if you are substantially behind on recent taxes or if the IRS has a tax lien on substantial property. This is similar to Chapter 13 but designed for family farmers or ranchers. It allows some more flexibility for those who do not have monthly income. This is the reorganization bankruptcy for corporations. This type of bankruptcy is much more complicated, and expensive than the others. While it is difficult to eliminate student loans in bankruptcy, it may be possible. Generally, non-bankruptcy options for eliminating student loans should be examined first. Many clients behind on their payments experience creditors violating the Fair Debt Collections Act. Find out how we can help! Get in Touch, and Get Relief Now! 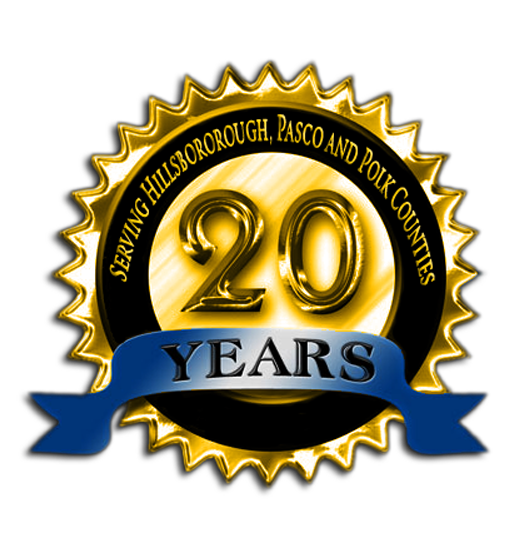 We schedule appointments in Dade City and at our main office in Tampa. Free Consultations: There is no charge for initial consultations regarding the filing of a bankruptcy case for the client.